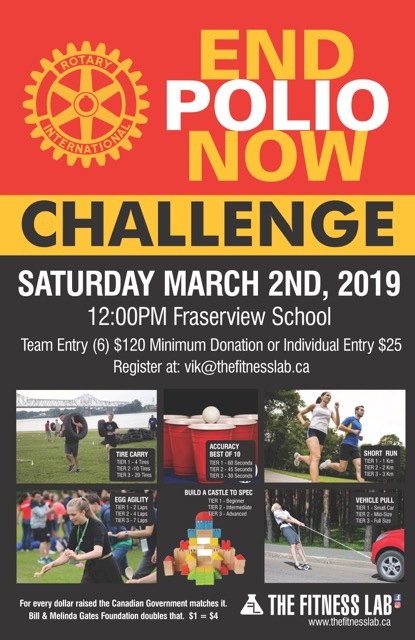 End Polio Now - A Fitness Challenge! Polio? Not here! But wait... it is almost eradicated - but not quite! Since it still exists in the world, it is only a plane ride away! 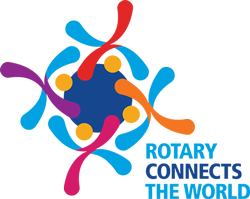 Help us in the final push to end this crippling disease world wide in this fun event - remember, every $1.00 you give becomes $5.00 thanks to the 2 for 1 matching of the dollars by the Canadian Government and the Bill and Melinda Gates Foundation. We did it with Smallpox! And we can do it with Polio. Join us and together we can make a difference!